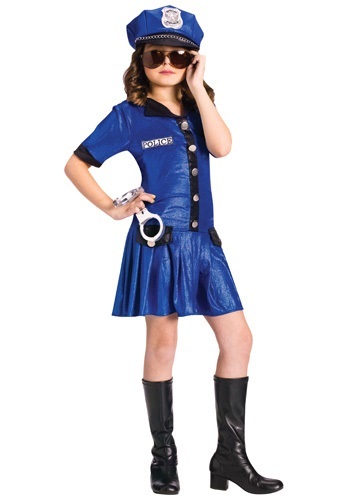 Girls Blue Police Officer Costume By: Fun World for the 2015 Costume season. Meet the cop who never stops! This Girls Police Officer Costume will transform your little sweetheart into a lean, mean, law enforcing machine! Once she's in her uniform, she'll be ready to bring some crooks to justice.